With the display boards designed, it was now time to order them. Having never ordered boards before, I was not sure what to expect. Several years ago this it was cost prohibitive for a hobbyist to have boards made, so I always assumed it would too expensive. Boards can now be ordered inexpensively from number of manufactures in China. After doing some research I chose JCPCB. They claim quick turnaround and cheap $2 boards. These boards, due to size, were not $2. The cost was $18.17 for 20 of the boards for the first pin-out and $13.08 for 10 of the alternate pin-out. With shipping, which there was discount for the first order, the total came to only $33.19. Not bad for 30 boards. JLCPCB has a support page that shows exactly how to generate the files needed. Immediately after uploading the files, the site shows a picture of what the boards will look like. The JLCPCB website even shows the progress of the boards. 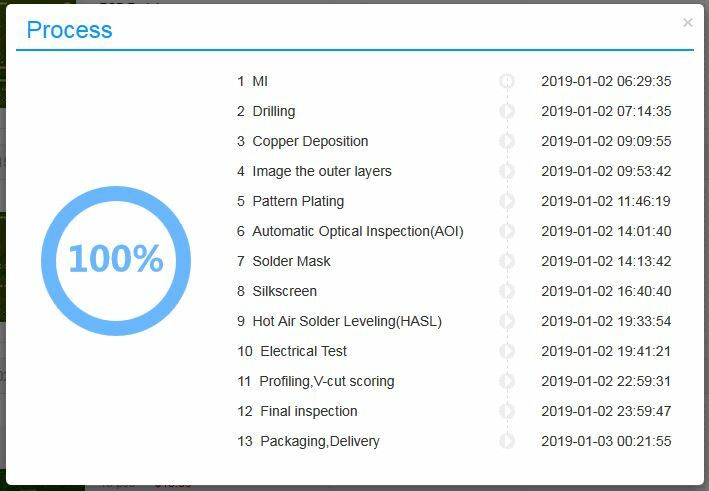 The progress updates as they go through the various manufacturing steps. 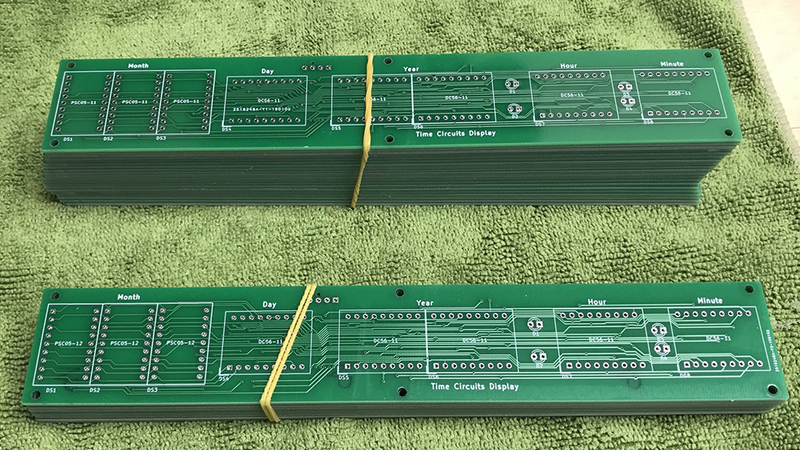 The boards were finished and ready to ship 26 hours after they were ordered. It took only 6 total days from ordering to receiving the boards. The boards appear to be high quality, and exactly as designed. By now I’ve started working on the rest of the 3d printed enclosure, they fit perfectly. The LED displays and other parts have arrived and it’s now time to assemble a board and see if they works.